The world’s financial communication networks are a paradigm of the modern world, and they operate at very high speeds through necessity, often using fiber optic technology. So fine are the lines between success and failure in today’s trading environment that just tiny fractions of seconds do matter. When financial institutions trade via these networks, shaving microseconds off network latency can result in a significant competitive advantage and millions of dollars annually. To reduce latency, one must understand the factors that can cause latency. In the previous article, I briefly explained and compared two types of optical sources used in transmitters: LED and LD. Today, I am going to discuss what happens at the other end of a fiber link -- detectors. Optical detectors, as the name implied, can detect the amount of light received. Our very own eyes are a pair of detectors as they can receive light information with the retina and transmit that light data to our brain. In the visible light spectrum, our eyes are great detectors to inspect fiber break or light leakage. However, most fiber works in the invisible wavelength spectrum where human eyes won't be able to see. That is the where the optical detectors come in . 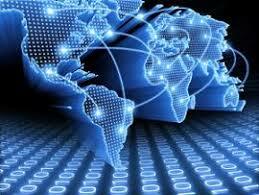 Why Is Latency So Important In Financial Networks? When talking about computers, latency is a word used to describe how long after you input a command that the results of that command are displayed on the screen. In technical terms, it’s the measured delay involved getting a datagram or packet from one hardware location to another and so obviously, the lower the latency, the better performing the device or network is. Under the ideal environment condition, the primary fiber attenuation in single mode fiber comes from intrinsic characteristics of the glass and is usually less than 0.2 dB/km. 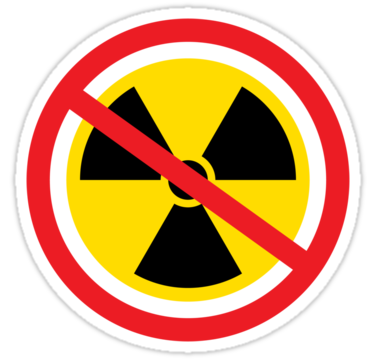 However, when the fiber is exposed to high radiation environment for an extended period, for example in a nuclear facility, the fiber's Radiation-Induced Attenuation (RIA) will accumulate and become fiber's dominant source of loss as the electrons are trapped in the glass due to ionizing radiation. It also takes time for the fiber to recover from the radiation after the radiation source is removed. Depending on the temperature, radiation doses, and radiation sources, the fiber may or may not recover to its original state. 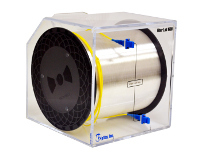 Graded-Index Fiber, also known as G.651.1 under International Telecommunication Union (ITU) standards, is a type of fiber whose refractive index decreases gradually as the radial distance (distance to the core center) increases. In comparison, what we commonly have seen is G.652.D fiber which has a step-index refractive index profile. This article will compare graded-index multimode fiber with traditional step-index fiber, as well as its advantages when dealing with modal dispersion, a common signal distortion error. The graph below shows the different refractive index profiles of the fiber core and cladding. 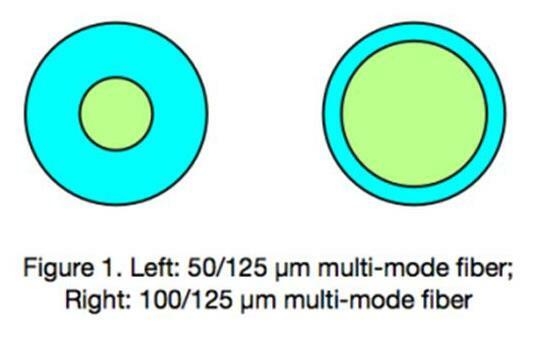 The most common multimode optical fibers, which allow multiple light modes to propogate along the link simultaneously, are designed with a core diameter size of 50µm for for high-speed communications networks. You may recognize these types of fibers by industry specifications such as OM2, OM3, and OM4 or by brand names like Corning® ClearCurve® and OFS® LaserWave®. How Does a Dispersion Compensating Fiber Reduce Chromatic Dispersion? An important factor in the performance of fiber optic communications systems, chromatic dispersion is a topic and performance characteristic that is important to both understand and account for when operating and/or designing equipment for fiber-based networks. 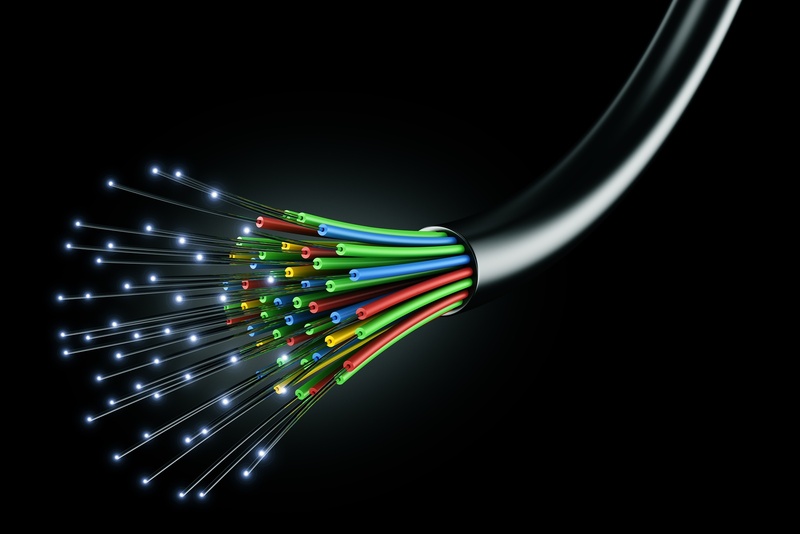 Optical fiber is made by drawing glass or plastic to a desired length and diameter (slightly larger than a human hair). 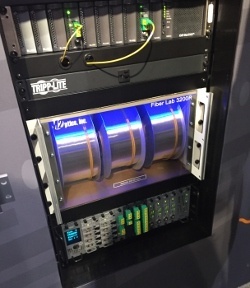 This flexible and highly pure fiber is most commonly used to transmit light for a wide range of applications including visible light displays, sensors, and high-speed communications networks which we will discuss in this article.